Strategies for staying healthy become even more important as we age. As we get older, we become more susceptible to infections, inflammatory diseases, and cancer. To strengthen your immune system, let’s get back to the basics. Here are some tips to help get you started. Get vaccinated. It has been demonstrated that flu vaccines significantly lower rates of sickness and death for seniors. Exercise not only improves circulation and heart health, it also works to relax your body and mind. Reducing stress through whatever means possible will also give your immune system a boost. Stress works to suppress your immune system, which makes you more susceptible to illness. Getting enough sleep is one of the best natural immune system boosters. It can also increase our response to the flu vaccine. A positive outlook on life increases production of endorphins. When we’re engaged in activities that make us feel happy and productive, it also has an effect on our immune system. Superfoods like kale, broccoli, berries, avocados and others have been shown to improve the performance of seniors’ immune systems. So try adding some more variety to your diet. Stay hydrated. 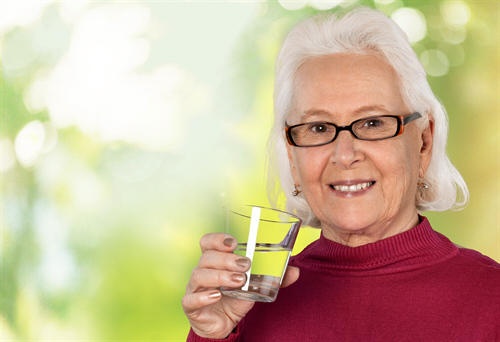 Seniors tend to experience thirst less than younger people, so it’s important to consciously get your 8 glasses of liquids every day. You get the most out of life when you’re healthy and active, and supporting your immune system is one way of ensuring that you stay that way as you get older. Life at Harmony Senior Homes supports a healthy and active lifestyle for our residents.